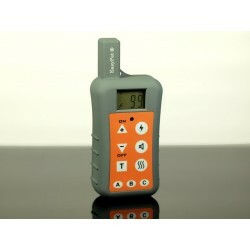 This is for ONE replacement transmitter handset ONLY for EasyPet EP-380R remote dog training system. It CANNOT be used on its own! Please match it up with your current EP-380R collar unit before use! It's fully compatible with both revision of EP-380R collar receiver units (half moon shaped revision and latest square shaped with orange front revision) - For half moon shaped collar receiver units, you would need a new charger plug (for the new transmitter handset) and a magnet matching up tool together - please contact us for further details. If you have a previous version of EP-380R (with half-moon shaped receiver), you will need a new charger and magnet matching up tool for this transmitter handset. Please contact us for the new charger plug if needed.